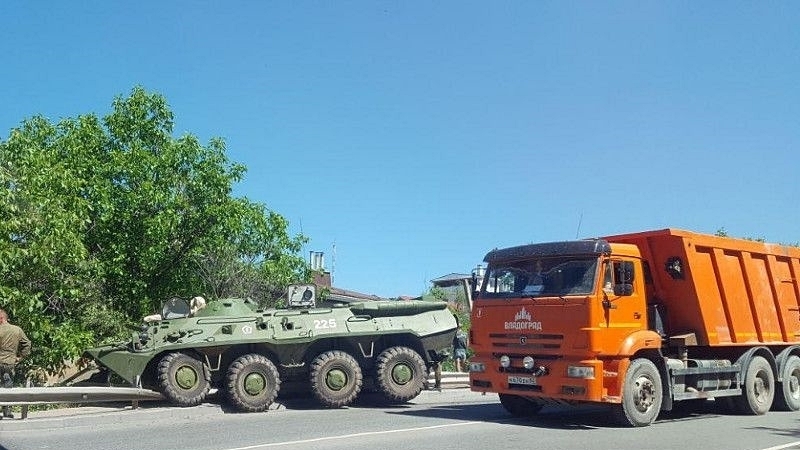 In the occupied Crimea in Simferopol an accident occurred with the participation of two armoured personnel carriers. According to eyewitnesses, two the military equipment went off the road. “Two armoured personnel carriers were on the coupling. One lies in a ditch, the second went off the road,” said one of the eyewitnesses. The incident happened on Leshozna Street on the Yalta Bypass road. Thus, because of an incident, vehicles in this area are moving at a speed of 15 km / h.
Earlier, on highway Simferopol -Yevpatoriya, in the occupied Crimea an accident occurred with the participation of Ford vans and car Skoda Rapid. In the accident, 9 people were injured, 5 of them were children.